Despite being mostly based on religion and faith, Hong Kong festivals are anything but solemn. Dances, colors, noise and incense are all essential elements, and visitors are always welcome. Chinese festivities are based on the lunar calendar and therefore don't have a fixed date each year, although they will usually fall within the same thirty day period. The list below refers solely for Chinese festivals in Hong Kong (not Western festivals like Christmas). Following the ancient Chinese calendar, Chinese New Year in Hong Kong kicks off three days of celebrations, though on paper the festivities lasts fifteen whole days. The beginning of Chinese New Year in Hong Kong culminates in a fantastic firework display in Victoria Harbor and a traditional parade. The whole city is shut for three days as families embark for China to celebrate. You may be roped into the celebrations too – make sure you bring the right gift for the occasion! The Spring Lantern Festival begins on the last official day of Chinese New Year. Brightly colored lanterns are strung up around the city and local couples celebrate Chinese Valentines day, if in an undecidedly unromantic manner – with their families. Starting with the Ching Ming Festival that heralds the beginning of spring, Hong Kong locals celebrate a quick succession of traditional Chinese festivals. Ching Ming Festival is when families visit their ancestral graves to clean and leave offerings. This can be a fantastic sight as incense and joss sticks are burned and a variety of food is left – including, in unique Hong Kong style, takeaway rice and pork. The Tin Hau Festival, also known as the Fisherman’s Festival, sees hundreds of boats, decked out in streamers, pennants and flags, make their way to the Tin Hau temples around the territory to ask for luck in the coming year from the goddess of the sea and protector of fishermen, Tin Hau. Wacky and wonderful, the Cheung Chau Bun Festival climaxes with the infamous bun tower climbing competition. Join the crowds for this loud party on the island of Cheung Chau. Despite being a public holiday, Lord Buddha's birthday is one of the less exciting festivals. Buddha statues are taken out of their monastery for their once yearly bath - you can watch the chubby Lord get his belly washed in temples across the city. 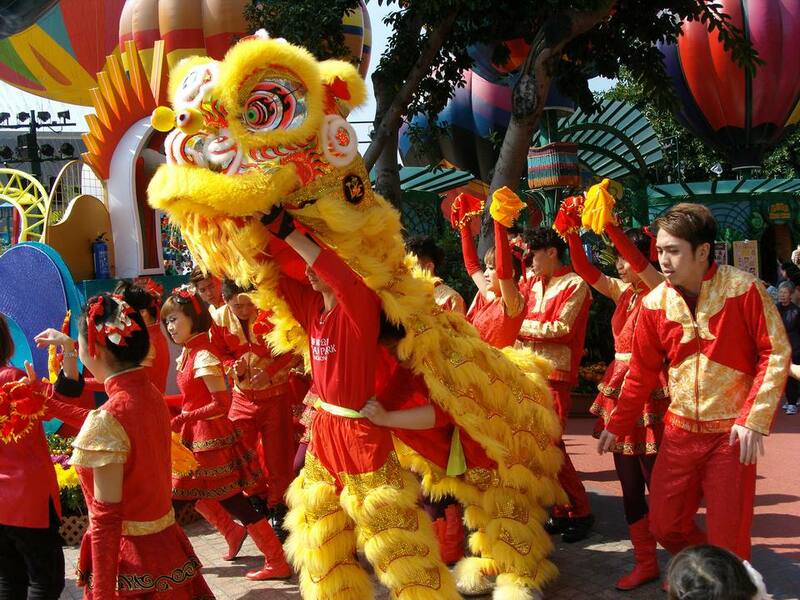 The Hong Kong Dragon Boat Carnival is arguably the most exciting festival of the year. In an adrenalin filled version of the Oxford and Cambridge boat races; eight men dragon boats, ornately decorated, do battle over three days in what is fierce competition. In 2018, the Dragon Boat Festival takes place from June 22 to 24. The Hungry Ghost Festival is Hong Kong's somewhat scarier version of Halloween; during the seventh moon, it's believed that restless spirits and ghosts return to earth --- some of them with vengeance on their mind. To make the afterlife more comfortable, and appease any restless spirits, family members burn fake money, known as Hell Bank Notes, as well as paper creations of everything from cars to the Apple iPhone. Mid-Autumn Festival, Hong Kong’s biggest festival aside from Chinese New Year, commemorates the Chinese giving the boot to their Mongolian overlords. Lanterns play a big part in the festival, as do dragon dances, while everyone gorges themselves on mooncakes. Read about Hong Kong weather in September so you know what to expect. Nicknamed the “hiking holiday”, the Chung Yeung Festival is based on an old folk tale of a man saved from death by being told to move to higher ground (it's a long story). During this October festival, many Hong Kong locals still make the trip up into the hills to burn offerings.